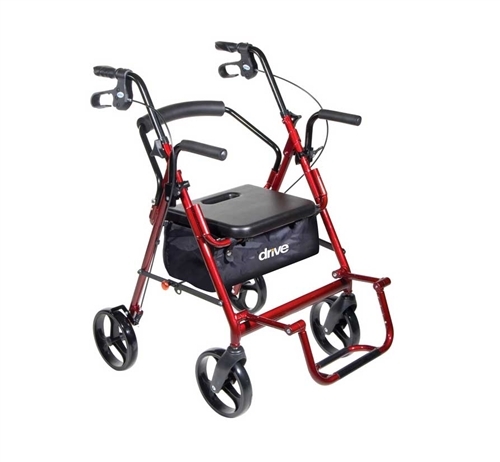 The Duet Rollator / Transport Wheelchair Combination all-in-one from Drive Medical is an excellent option for individuals that can ambulate independently or be pushed safely by a caregiver. It has a seat, backrest, under-seat storage and 8” casters. 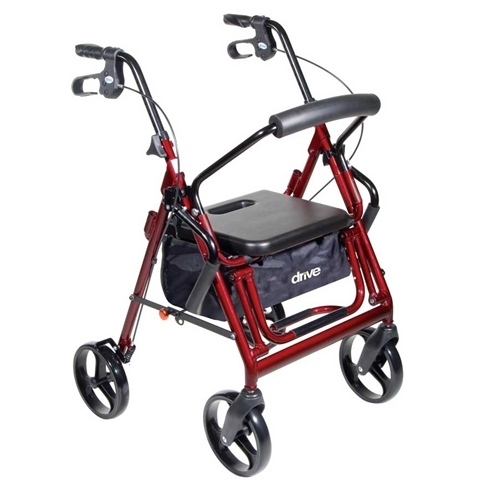 To use as a transport char the Duet has locking flip-up armrests and a flip down foot rest. 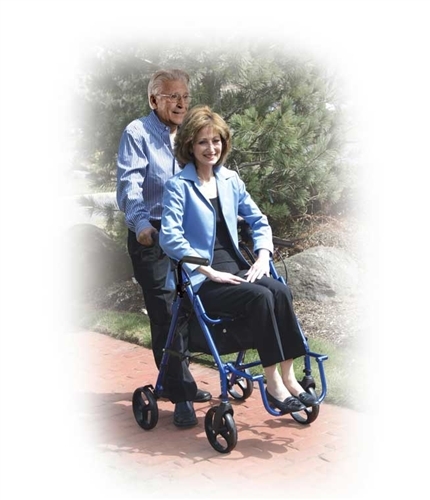 A safety lock release is used to store the arms and a hook and loop fastener strap is used to store the footrest while using the Duet for ambulation. The tool-free two-position padded backrest is reversible depending on whether you are using the Duet as a rollator or in a transport chair mode. It comes with a padded seat with carry pouch for added privacy and security of personal items. Inside the pouch is a handle to aid with the folding. 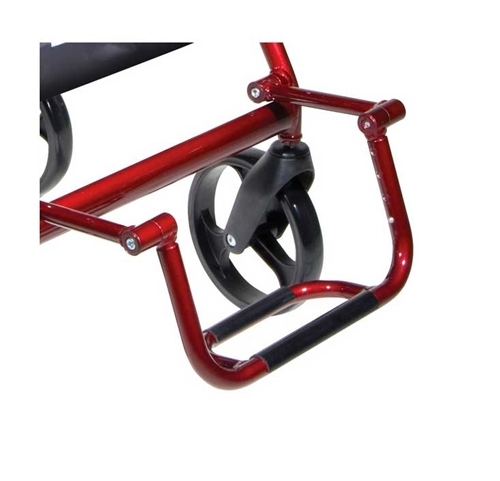 The folding frame has a lock out feature to ensure that the unit stays open while in use and ensures the unit ill stay folded during storage or transport. The 8 inch casters are ideal for indoor or outdoor use. 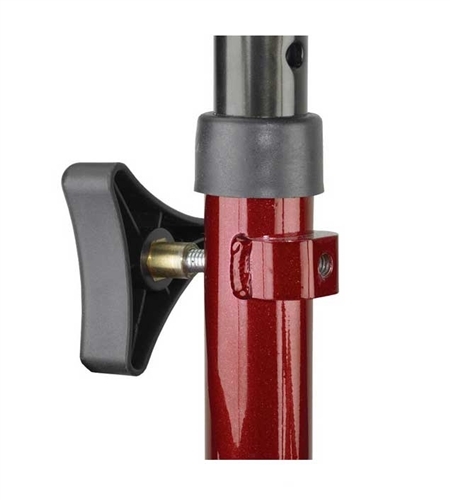 The handles are height adjustable with a self threading knob.